Diane had worked with Sheena as a foal, and she had been a little spitfire, very smart and spunky, showing a lot of promise. 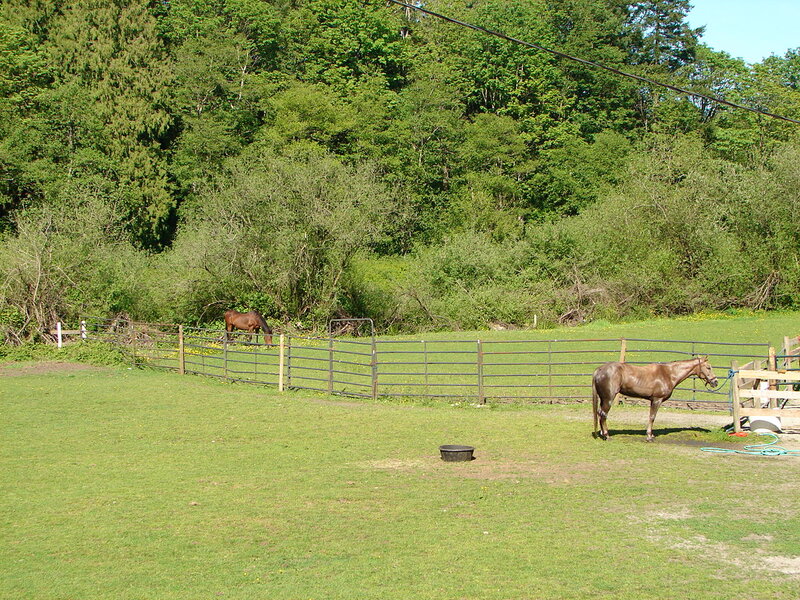 After her early handling, she was turned out to pasture to grow big and strong until she was old enough to ride. When she was between 10 months and 2 years old (in about 1986), Sheena suffered severe injuries while turned out to pasture. What exactly happened, or how often, nobody knows. 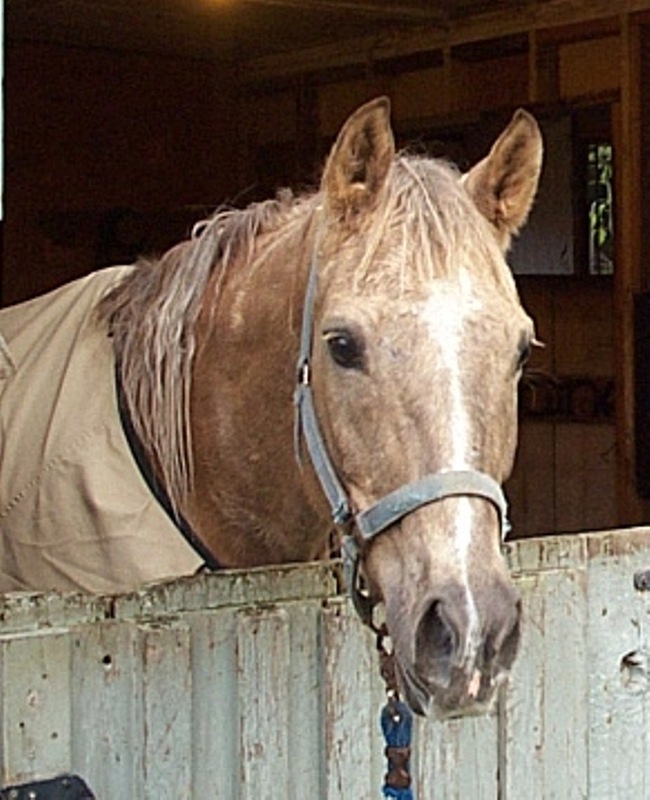 The end result, according to Diane’s vet, was a horse with semi-paralyzed hindquarters, a spine needing constant readjustments, tense neck, back and hip muscles, and a life of constant pain. At 26 months, her resting position was all four legs within two feet of each other and back humped. When she walked, she would drag each hind leg and slap it hard on the ground, as if she had lost motor control. Her rump muscles had not developed normally for a Quarter Horse and she had problems with balance, so doing anything with her feet became a risky business. Around that time (in 1987), Diane heard about a chiropractor in Vancouver who was working with horses. The chiropractor did ten weekly treatments on Sheena, readjusting her spine. She also showed Diane some leg exercises which would help loosen up the muscles in Sheena’s rump and shoulder. 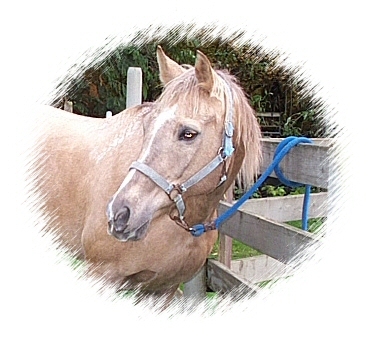 The treatment improved Sheena’s condition enough that it became safe to work with her feet, and to train the little mare for light riding and driving, although she was still far from being rehabilitated. For the next ten years or so, Diane and Sheena enjoyed each other. After 1997, however, Diane was subjected to the usual demands of motherhood, with less time for her mare. 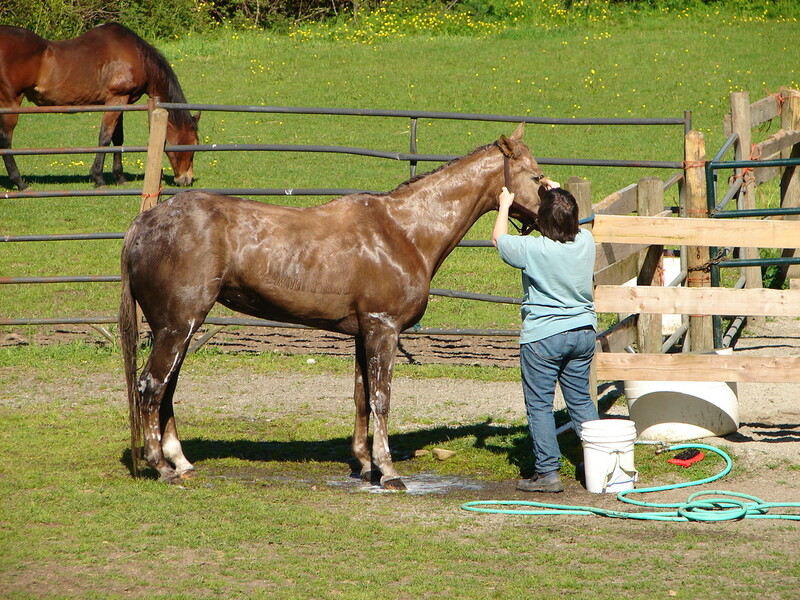 During that time, Sheena had to be moved to different barns, under the care of different farriers. Against Diane’s instructions and without her knowledge, the little mare was turned out with large groups of horses, left outside in the rain for days on end, and improperly fed and trimmed. Her initial injuries were exacerbated by being chased, kicked and bitten by the other horses, as well as being clawed by a bear and fighting rain scald. By the fall of 2008 when she met Gilbert, Diane’s little mare was in worse condition than when she came off the pasture as a two year old. At that time, Sheena’s health and feet had deteriorated so badly that the vet’s prognosis for her was very poor, and Diane was forced to contemplate euthanasia. The little mare would lose her balance and fall, sometimes several times a day. But Sheena still had that spark, and Diane decided that if the little mare wasn’t ready to give up, neither was her owner. Determined to give her one more chance, she made the long drive from Port Coquitlam to Langley four or five times a week to make sure Sheena was getting extra feed, and to perform the strengthening and stretching exercises that would help her keep her balance. Then she met Gilbert Roy while he was shoeing horses at that barn. Diane wrote that when she first met Gilbert, “Right away, I sensed that he was very knowledgeable about problem horses and took pride in his work. It took him well over two hours to trim my mare’s hooves and put two shoes on her front feet.” Sheena was so weak that she had to lean against the wall in order for him lift one of her feet. “Without any hints or clues from me, he told me that her feet had not been done properly for about two years,” she wrote, and that it would take several trimmings “to get her back on track.” He recommended a supplement to improve her weight, and showed Diane how to do some slow walking and turns with Sheena to improve her flexibility and her awareness of where her hind legs were. Diane wrote, “After a week on [the supplement], I noticed a stunning improvement in her weight. Even the veterinarian noticed the improvement in both her weight and strength at each of her subsequent monthly visits.” Thanks to Diane’s diligence in following Gilbert’s instructions, Sheena did not need the wall to support herself during the second shoeing. After seeing the rapid improvement and how Diane was so willing to work with the little mare, Gilbert agreed to work on Sheena on a weekly basis to see how much she would be able to improve. Sheena eventually came to live with Gilbert at Tickety Boo Farm. Diane came to see her two or three times almost every week while she was there. Although she was never able to realize her dream of riding the spunky little mare again, she watched Sheena canter happily through the pasture and enjoyed pampering her with regular brushing and bathing. The little mare was safe in a cozy box stall with an adjoining sand paddock, where she would stand surveying the farm and other horses when she wasn’t turned out in the pasture. Diane’s spunky little mare never lost her spark and plucky attitude, and it is a testament to her dedicated owner that she recognized and respected Sheena’s strong will to live and let her enjoy her final years in safety and comfort. 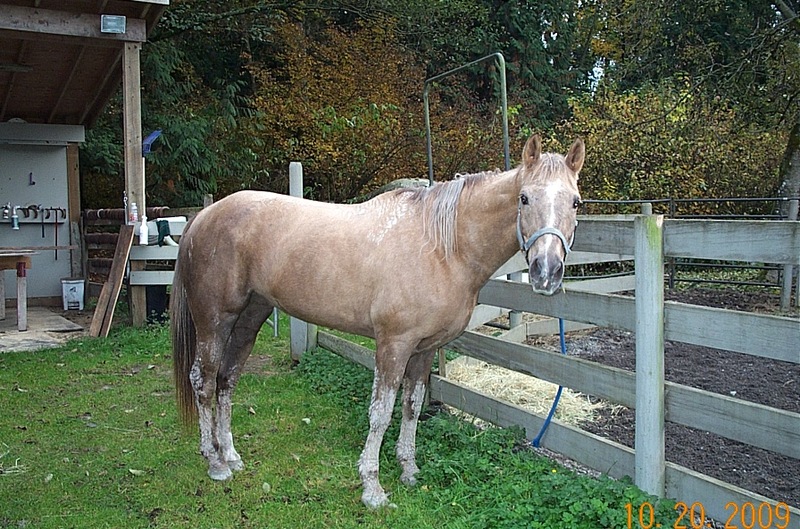 This entry was posted in Testimonials and tagged British Columbia, Cariboo, Farrier, Horse rehabilitation, Horse Trainer, Horsemanship, Horseshoer, Lone Butte by R.E. Donald. Bookmark the permalink.